Saving For Your Future » Buy-to-let » Tenancy agreement – do I need one and what should it contain? 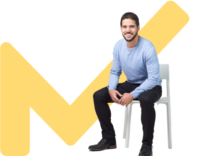 Tenancy agreement – do I need one and what should it contain? Do I need a tenancy agreement and what should it contain? In England, Wales and Northern Ireland there is no legal requirement for a private landlord to provide a tenancy agreement for their tenants. In Scotland you must be provided with a tenancy agreement if you are an assured or a short assured tenant of a private landlord. Whilst there may be no legal requirement for your landlord to supply you with a tenancy agreement it is advisable to insist on one to protect your interests. If your current, or prospective, landlord refuses to supply you with an agreement I would consider alternative accommodation that would provide you with more security. 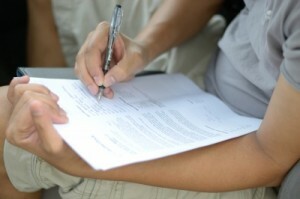 The tenancy agreement whether written or oral is a contract between the tenant and their landlord. This gives both parties rights and a written agreement, signed by both parties, is a base document that can be used to try and resolve any disagreements. Without a written agreement it would be very difficult to prove the terms of the tenancy if required. What should be contained in a tenancy agreement? Regardless of whether you have a tenancy agreement or not it is a legal requirement for your landlord to provide you with his name and address. Are there any other issues I need to understand? There are some legal responsibilities that the tenant and landlord have that may not be set down in the tenancy agreement. These are known as implied terms of a tenancy agreement. What are my energy rights as a tenant? Can first time buyers get a buy to let mortgage?